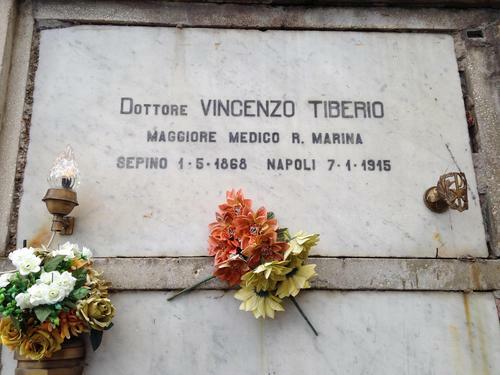 Vincenzo Tiberio died on 7th January 1915 in Naples, his last destination as medical officer of the "Corpo Sanitario Marittimo", but he was buried in the cemetery of Sepino, that is his birthplace and the little town where he spent the first period of his life in his parents' home. 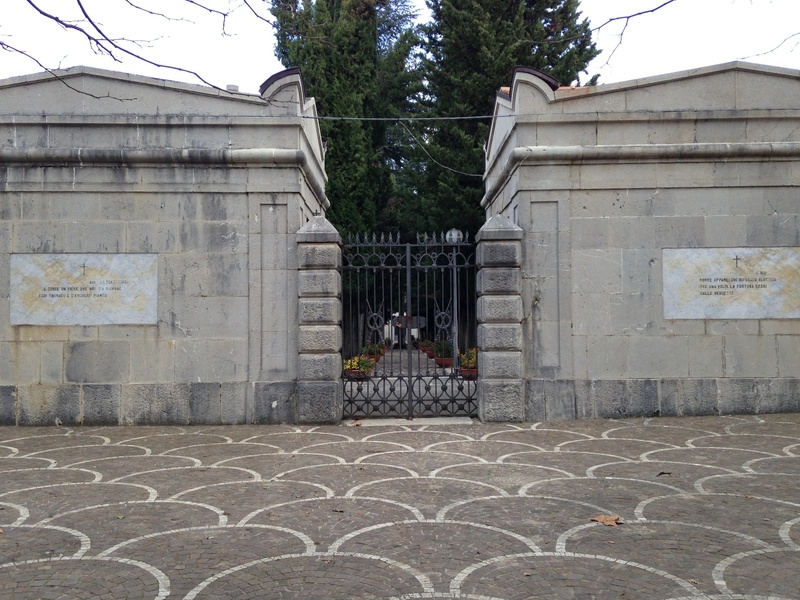 The little cemetery is in the upper side of the city. 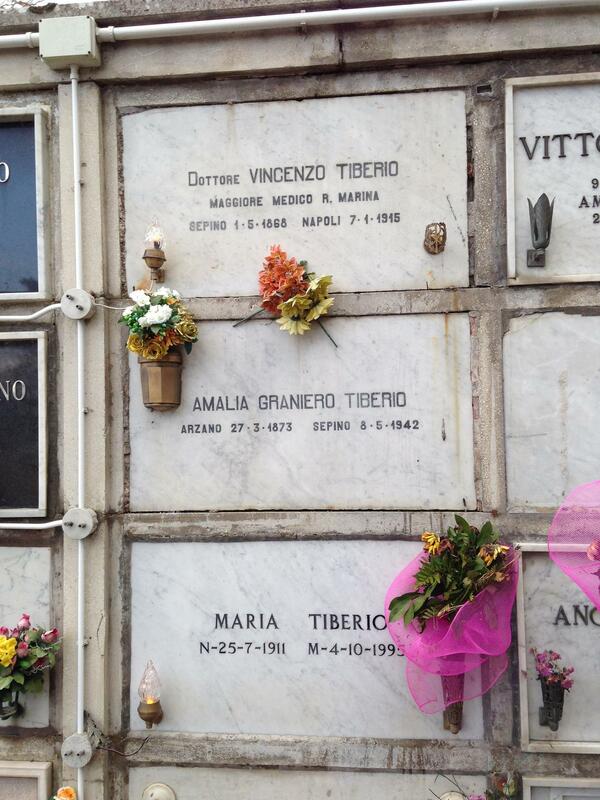 Tiberio's tomb is a very simple and ordinary one, without any sign of distinction (Doctor Vincenzo Tiberio / Navy major / Sepino 1-5-1968 Napoli 7-1-1915), and it is near his beloved wife's tomb (Amalia Graniero: Arzano 27-3-1873, Sepino 8-5-1942) and his daughter's one, Maria Tiberio (25-7-1911; 4-10-1995).